Miles Davis’ ‘In Europe’ is an album with Ron Carter, George Coleman, Herbie Hancock and Tony Williams, recorded on July 27, 1963 at Festival Mondial du Jazz in Antibes and released in 1964 by Columbia. Track listing : . 1.Autumn Leaves (Johnny Mercer / Jacques Prévert) – 13:52 . 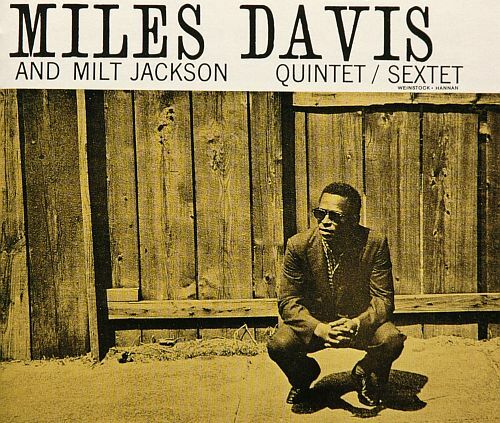 2.Milestones (Miles Davis) – 09:16 . 3.I Thought About You (James Van Heusen / Johnny Mercer) – 11:44 . 4.Joshua (Victor Feldman) – 11:26 . 5.All of You (Cole Porter) – 16:49 . 6.Walkin’ (Richard Carpenter) – 16:15 . Musicians : . Miles Davis – Trumpet . Ron Carter – Bass . George Coleman – Sax (Tenor) . Herbie Hancock – Piano . Tony Williams – Drums . Production . Produced by Teo Macero – . Packaging : . Ralph J. Gleason – Liner Notes . Harvey Pekar – Liner Notes . Francis Wolff – Photography . Vernon Smith – Photography . Jan Persson – Photography . Recorded on July 27, 1963 at Festival Mondial, du Jazz Antibes, France . Released in 1964 by Columbia.